What do I like about this brownie? Everything! The crisp sugary crust as you take the first bite, the gooey chocolate centre is so rich it clings to the roof of your mouth and you wonder if you can get through a whole piece. Then a tang of the sour cherry hits, balanced with the earthy walnut and you know you will managed another bite…maybe even another slice! 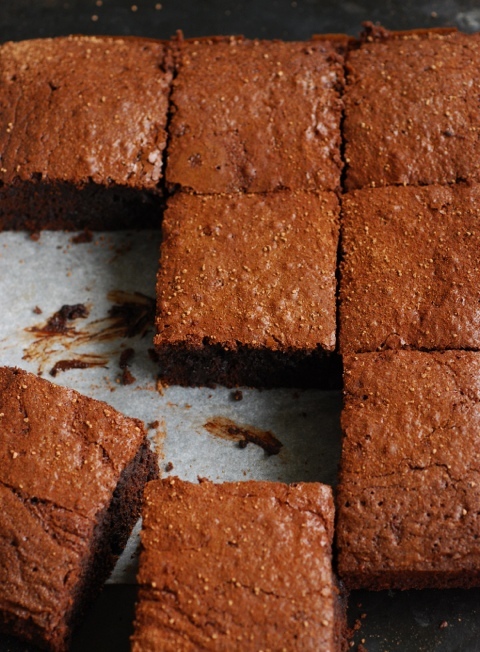 Would you buy these brownies if you stumbled across them at a Farmers Market? Well you may get the opportunity soon as the Gourmet Gannet plans to be selling sweet and savoury pastries pies and other treats from Hobsonville Point Farmers Market, Auckland starting this Sunday 17th Feb, 9am – 1pm and then every Sunday after that date. Come along and visit me! In the meantime I’ll let you have my recipe…. Pre-heat the oven to 200C and grease and line a 20cm cake tin with baking paper. Melt the butter & chocolate together in short burst in a microwave. Stir in between each burst. In a separate bowl, whisk together the brown sugar & eggs till they go pale. Pour the melted but cooled chocolate & butter into the sugar mix and whisk briefly to combine. Add the walnuts & cherries to the cake mixture and stir through. Sift the flour & cocoa into the cake mixture and stir through till combined. Pour into the prepared cake tin and bake for 25 minutes. The centre should still feel a little wobbly and when you insert a skewer it will come out sticky. The top will be crisp. it will set when cooled but have a gooey centre. Don’t be tempted to cook longer otherwise it will just be like a cake. Brownie will keep in the fridge for at least a week if you can resist! 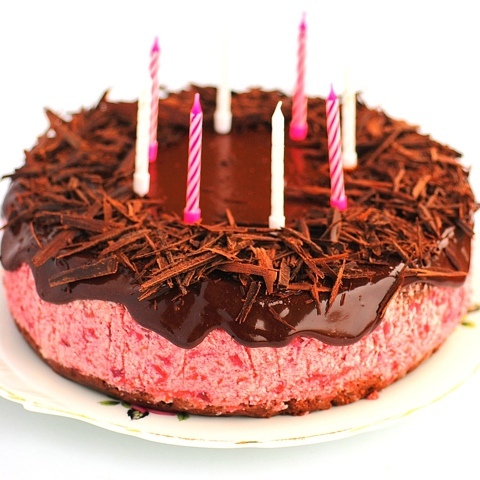 Do most food bloggers make their own birthday cake? I think they probably do. Here is mine, it’s a slice this year rather than a cake but I had something I wanted to try out and what better than to try it out on my birthday. You see, I had these amazing chocolates at Christmas which were figs stuffed with a chocolate truffle filling then the whole fig dipped in more chocolate. I couldn’t get enough of them and did think of making my own but shapely mini figs are not easy to find and it would be a bit fiddly to do. But that didn’t mean I couldn’t have something similar did it? My mind started wandering along how to convert all the ingredients into a cake. A layer of brownie as a stable base, next a layer of silky ganache combined with blended seed popping figs and finally a thin layer of ganache to give it a smooth finish. It came out exactly how I envisioned it! So here it is, my Fig & Brownie Truffle Slice. It’s very rich but not too sweet because of the 70% cocoa chocolate. It’s a cake to share for sure and holds well in the fridge, you just need to let it come to room temperature before you eat it. Day four and we are still eating the slice, tasting as good as day one, so I would say it will keep for a week in the fridge in an airtight container. Grease & line a 20cm square cake tin. Add the chocolate pieces and stir until the chocolate has melted. Add the the cocoa powder and whisk until smooth. Add in the eggs one at a time, then stir in the sugar and flour to a smooth batter. Pour the cake batter into the lined tin and bake for 30-35 minutes. Heat the cream in a small pan then remove from the heat. Add the chocolate and stir till melted . Put the figs (remove stalk if there is any) in a food processor and blitz till finely chopped. Add the cream and chocolate to the figs in processor and blend together. 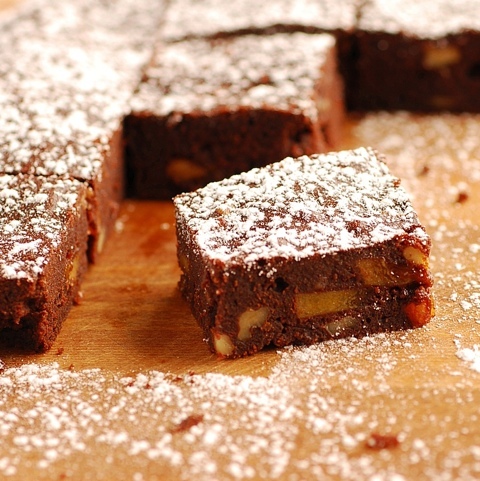 Spread the warm fig mixture over the warm brownie, there is no need to let cake cool at this stage. Add the chocolate to the hot cream and stir till melted. Pour the Ganache over cooled fig layer of cake. Place in the fridge to cool until you want to serve the cake. I have a little obsession for Little & Friday cakes, fortunately I don’t venture close to their cafes often otherwise I may look as round as this chocolate cake. For those of you who live in Auckland you may have already visited one of their little cake shops and experienced their baking delights. They’re what I call ‘real’ cakes, they are cakes with substance, traditional in texture but modern in appearance. I have not listed the recipe as I have not bought the book yet, although it is on my wish list. National Radio have the recipe here, permission given to publish by the owner. The recipe came out exactly how I had experienced them at Little & Friday, although I did use cherries instead of raspberries. We have new residents at our house, Beryl, Thelma and Nerys. They are three adopted hens which had been abandoned and we happily gave them a new home…. well actually a very elaborate coop and free range of the garden. They were all a little scruffy and dirty when they arrived and we were told they weren’t laying eggs but we have big hearts and decided even if they don’t lay we would look after them. A good bath, yes we bathed them! A good diet and they are now laying and they donated the eggs for my chocolate cake. If you come from Northern England you might recognise their name? They come from the cast and actors of a TV series called the Liver Birds which was set in Liverpool, my beautiful home town. The Liver Birds are also an iconic emblem that represents the city of Liverpool, dating back to the 1300s. Two statues can aslo be see towering above the port on the Royal Liver Buildings. I have had the Donna Hay 10th Birthday App on my IPad for ages tempting me with the chocolate recipes, particularly these brownies. The problem is when I open this App the photos are so incredible and life like that I end up spending hours just looking through them, analyzing them and dreaming about replicating them one day. The actual cooking gets forgotten as the time whips by but I finally got round to making them this weekend. I only had mocha chocolate in the house left over from a cooking workshop so I decided to make it with that but you can use any food quality dark chocolate. Check out the amount of chocolate in these babies, they have to be a chocoholics dream! Preheat oven to 180C and line a 20cm x 30cm cake tin with baking paper. Melt butter and half the chocolate in a pan over a low heat. In a large bowl add the eggs, sugar, flour and rest of the chopped chocolate and briefly whisk together. Pour the melted butter and chocolate into the bowl with the flour mixture and whisk again to combine. Pour into prepared cake tin and bake for 30 minutes. Remove from the oven and allow to cool slightly. If served slightly warm the chocolate bits will ooze out which is rather delicious but they are pretty dam good cold too. I have finally reduced the hours of my full time employment down to a four day week this week so that I can concentrate more on my cooking school and food ventures. So the first Friday off was spent redoing my cooking school website, scheduling future classes and working on my Pacific culinary tour business plan…..wrong. The surf was perfect after many weeks of howling winds and stormy seas, the sun even peeped out for a few hours and my surf buddy also had the day off. So we called a board meeting at Maori Bay (our local beach) to discuss the finer points of growing a business in-between catching a few waves, well that’s my story if hubby asks what I did for the day anyway! It’s winter in Muriwai and the water is 14C but we often get good surf at this time of year and less surfers crowding the water. 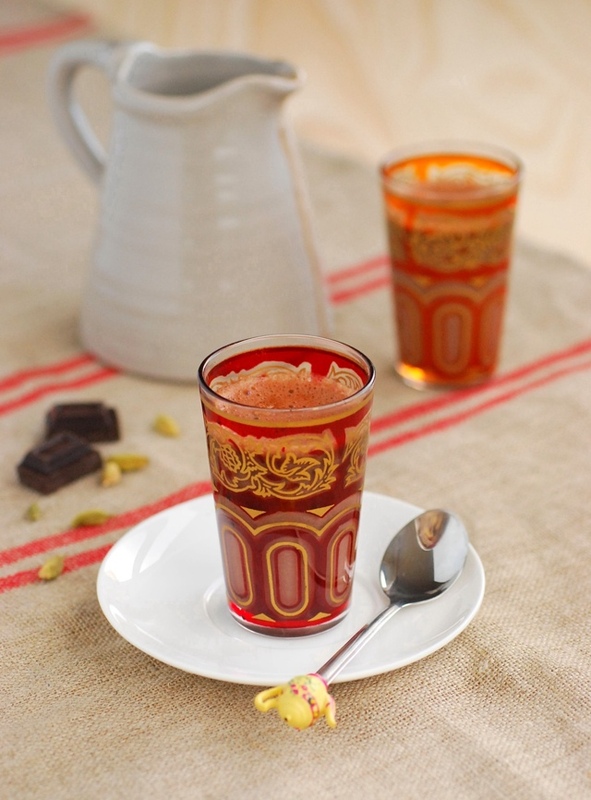 It does mean you need a good thawing after a dip though and I knew just the thing, hot chocolate infused with cardamom and orange blossom water. Heat the milk and cardamom pods in a saucepan to almost boiling. Add the chocolate and orange blossom water and whisk until combined. 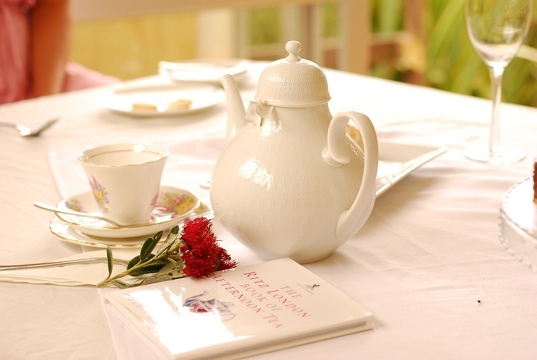 Note: don’t be tempted to use more orange blossom water as it really is quite strong and fragrant. I have spent the last week weening down the contents of my fridge and freezer, we are off to Europe for a month and I didn’t want our house sitters to contend with a fridge full of half of this and bits of that and nowhere to put their own produce. I had a small amount chestnuts left that I really didn’t want to throw away and I felt inspired to make a pudding with them, I pondered between hot or cold and then decided to create one that could be eaten both ways. With the cold weather taking a grip this week in New Zealand it really calls for a hot pudding but packing my suitcase (well actually dumping a bunch of clothes in a pile as and I will probably pack the night before I leave) with summer clothes for France I was in a summer pudding mood and the weather here was not going to stop it. I served the pudding set and chilled from the fridge but for those I am leaving behind in chilly New Zealand, that’s a little below the belt I admit, you can easily serve it warm straight from being cooked. 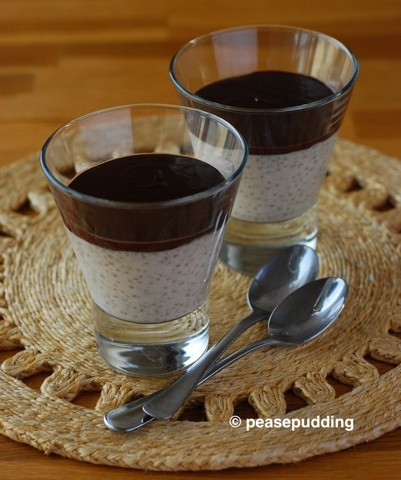 The sago is an easy milk pudding mixed with a chestnut puree then topped with a simple chocolate ganache. You can buy chestnut puree at specialty food stores or I have given a method of how to make your own. So I will leave you with this recipe and chat to you from the other side of the world! A bientot, Bis Dann, Dha weles diwettha! If making your own puree, put the chestnuts in a small pan with a tablespoon of sugar and just cover with water. Place over a low heat and simmer until chestnuts are soft, approx 15 minutes. They will also absorb some of the water. Blend to smooth paste and pass through a sieve. Place the sago, Manuka honey, milk and 1.5 cups of cream in a pan over a low heat. Simmer gently, stirring regularly so the sago doesn’t stick to the bottom of the pan. After approx 8 minutes the sago will start to go opaque at the edges and the pudding will thicken. To test the sago is cooked, take a few of the sago spheres out of the pan and check they are al dente like you would with pasta. If they are no longer hard but hold their shape it is cooked. They will have an opaque out rim and white centre. The consistency should be like a thick custard, if too think add a little more milk. Add the chestnut puree and stir through. Pour into glasses or small bowls. Heat the cream to almost boiling, either in microwave or pan. Add the chopped chocolate to the cream and stir till smooth and silky. Pour ganache over each individual sago pudding. I had been reading The Culinary Taste Blog where Rita had talked about making orange marmalade and what to do if the batch you made didn’t set properly and it reminded me of what I did with a slightly over cooked batch of marmalade. I put a jar into a batch of brownies to experiment since I didn’t want throw it away in place of using sugar and they were amazing. That was in the days before I was blogging and P keeps asking me to repeat it but have no idea what the original recipe was so this time I used Kristina’s recipe from Plum Kitchen and it worked perfectly. 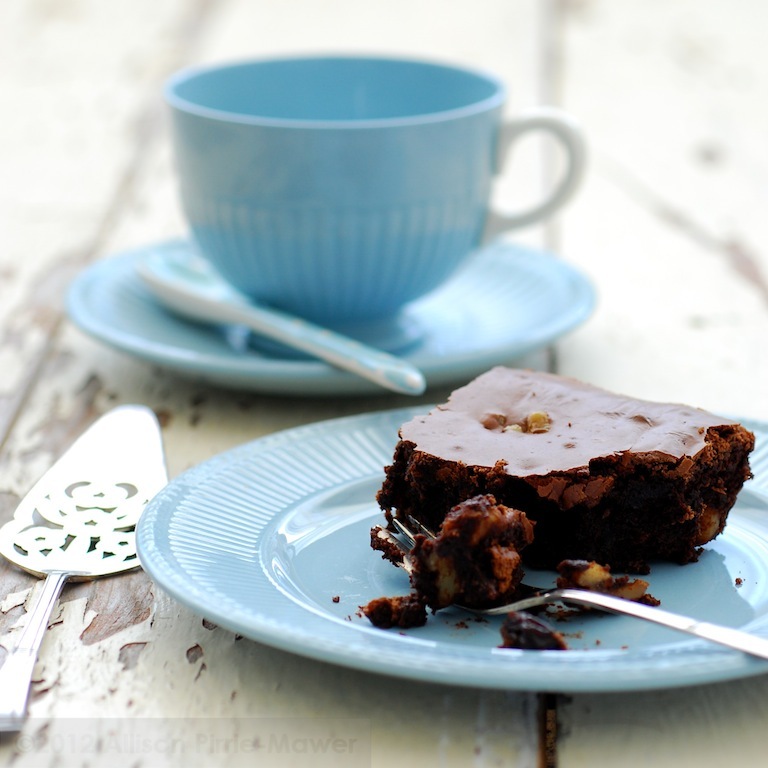 Pop over to her her blog for a brownie recipe which contains cranberries & white chocolate and has nice photographed step by step instructions. The marmalade in mine gives it a lovely tang and I threw in a bag of walnuts that I had left over for the nut crunch so typical to brownies. 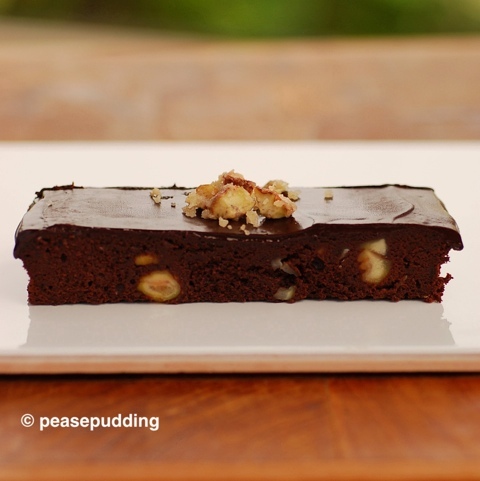 This recipe also contains 200g of melted chocolate which why it is deliciously rich and moist. Pre heat oven a 180C bake (not fan) and grease and line a 22cm cake tin. Place butter & marmalade in a pan over a low heat and once it has melted add the chopped chocolate and remove from the heat. The chocolate should melt from the heat of the pan and butter but if not, place it back over a low heat for a minute. Allow the mixture to cool then whisk in the eggs with a hand whisk or fork. Sift in the flour and cocoa powder a little at a time and combine between each addition. Pour into prepared cake tin and bake for 20 -25 mins depending on your oven. You want the mixture to still be moist when tested with a knife so you end up with a sticky brownie in the centre but a firm outer. Mine did not go crisp but I think it is due to using marmalade rather than sugar but still delicious. In the mad pre Christmas rush our Muriwai crowd managed to hold a surprise party for a dear friend of ours on the 22nd December who often misses out since her birthday is so close to Christmas. I volunteered to make the cake and knowing that her favourite ice cream is black Doris plum I set to creating around this theme. Initially I was going to make an ice cream cake but changed my mind and decided on a mousse cake. There’s nothing like attempting a new creation the day before the event and not really knowing what the result will be. Of course I have made fruit mousses before which always work so I wasn’t too concerned, until of course it didn’t look like it was going to set! It did eventually overnight in the fridge…must have been the warm weather but it had me worried for a while! 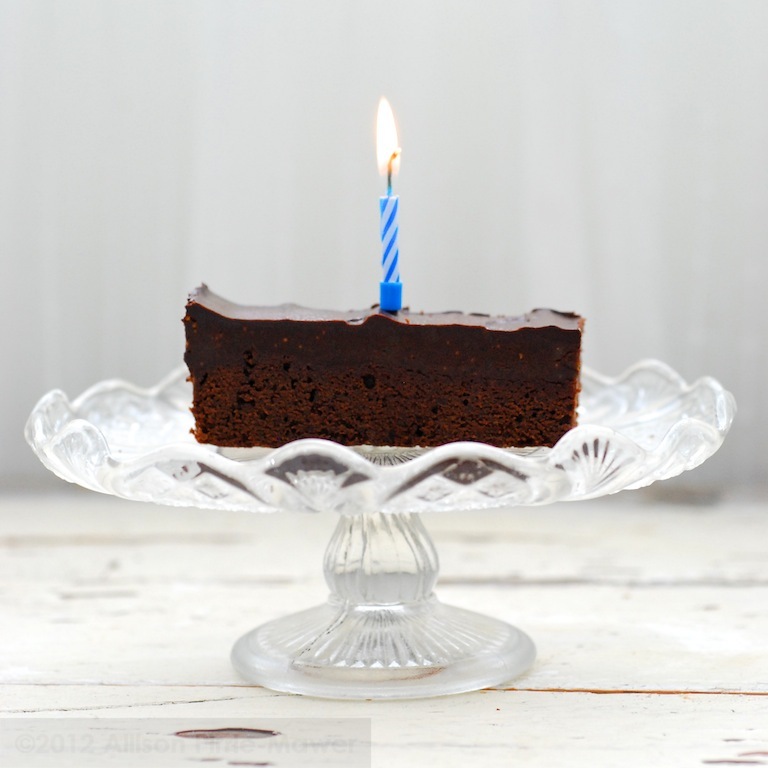 The chocolate ganache was the icing on the cake as they say giving it that rich velvet look and texture and the mousse was sandwiched between a rich sour cream chocolate cake. It all worked perfectly and there wasn’t a single piece left on the plate! Prepare the chocolate cake and allow it to cool before making the mousse. This recipe makes double the amount required for the mousse cake so you can either used your own favourite chocolate cake recipe or freeze half of this one once cooked and use it another time or try my black forest trifle recipe that’s coming up next week. Alternatively you can half the quantities below. Beat in the eggs then the sour cream. Add the dry ingredients and melted chocolate to the mixture and combine. Pour into prepared cake tin and bake for 60-80 minutes, checking with a skewer after 60 mins. Allow cake to cool in tin, once cooled slice in half, horizontally through the middle. Wrap one half to freeze and the second half slice through the middle again to create the top and bottom of the mousse cake. Mix the gelatin and 2 tbsp water in a small container and put aside. Puree the plums in a food processor until smooth, or just mash them if you want a textured mousse. Place the puree, sugar and gelatin in small saucepan set over medium and bring to the boil. When using agar agar you need to cook it through for two minutes and it will thicken. Remove from the heat and allow to cool. In the meantime whip the cream to soft peak consistency. Once the plum mixture starts to cool and set, gently fold the cream into the mixture. Do not add the cream while plum mixture is warm as it will turn the cream to liquid and loose volume. Pour onto the cake base immediately. Clean the cake tin and line with plastic wrap which will help remove the cake from it’s mould once set. Place one half of the cake in the cake tin, pour in the mousse then place the second piece of cake on top. Place in the fridge to set for 2-3 hours. Pour over ganache the top of cake and allow drip down the sides. Decorate with chocolate shavings, the easiest way to make shavings is to slide a knife down the side of the chocolate block or use a potato peeler to shave along the side. scald cream then add chocolate, stir till smooth and pour on cake. It was a balmy afternoon in Muriwai, not quite the temperatures I had expected for the afternoon tea planned but we still managed to sup several pots of tea between us. 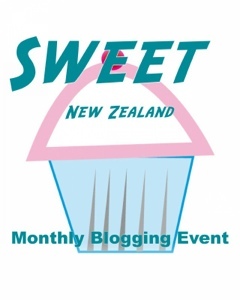 I have not met another food blogger before so after two years of blogging it was quite exciting to be meeting Plum Kitchen, Sasasunakku and Mairi-Toast who were all popping out to Muriwai for afternoon tea with me a the Gourmet Gannet. It was great to meet the girls behind the blogs I have been following and share a few stories with them in person. We were all introduce to some new teas I had discovered this week from a local distributer in Kumeu, Harney and Sons(www.harneyteas.co.nz ) We started with their White Earl Grey, progressed onto a Valentines tea which had hints of chocolate and roses and finished with their Tower of London with hints of bergamot and honey. 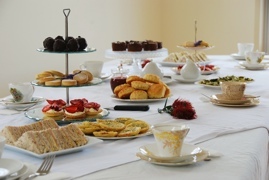 On the menu was; cucumber sandwiches, asparagus and feta canapes, fennel & onion tarts, lavender shortbread, scones, strawberry jam & cream, chocolate fruit christmas cake, chocolate mousse cake and strawberry tarts, all homemade of course! 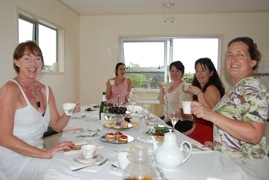 We hope to hold a few more afternoon teas next year so let me know if you would like to join us and I will keep you posted!